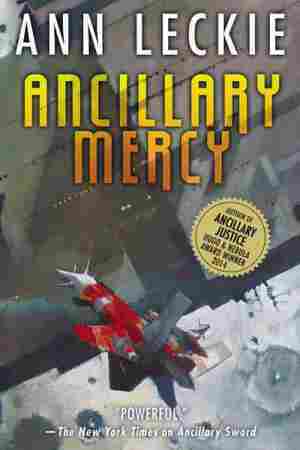 Ancillary Mercy NPR coverage of Ancillary Mercy by Ann Leckie. News, author interviews, critics' picks and more. In order to save Athoek Station from her most bitter enemy, professional soldier Breq devises her most desperate plan yet. By the Hugo and Nebula Award-winning author of Ancillary Justice. October 5, 2015  Ann Leckie's powerhouse space-opera trilogy followed a soldier out to bring down a galactic empress. Critic Genevieve Valentine says the final volume is rich in detail, and a fitting capstone.